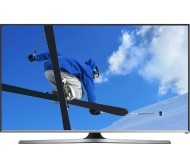 alaTest has collected and analyzed 2739 reviews of Samsung T32E390 Series. The average rating for this product is 4.5/5, compared to an average rating of 4.3/5 for other products in the same category for all reviews. We analyzed user and expert ratings, product age and more factors. Compared to other products in the same category the Samsung T32E390 Series is awarded an overall alaScore™ of 89/100 = Very good quality. Easy to set up, very good picture quality, sound is ok but can't compare to anything else. Very pleased with the tv. The stand is rubbish ... like a cheap plastic coat hanger. Mine broke when I first put it on the tv stand. Also the remote response seems slow. An excellent TV for use in our kitchen, superb screen and speaker quality.